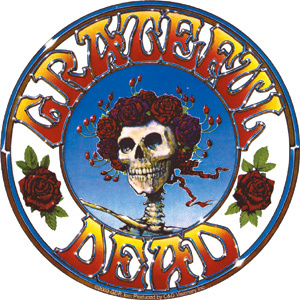 Bertha Skull & Roses is what this Grateful Dead sticker is all about. Approximate size is 5" round. Officially licensed Grateful Dead merchandise. She will look good wherever you put her.